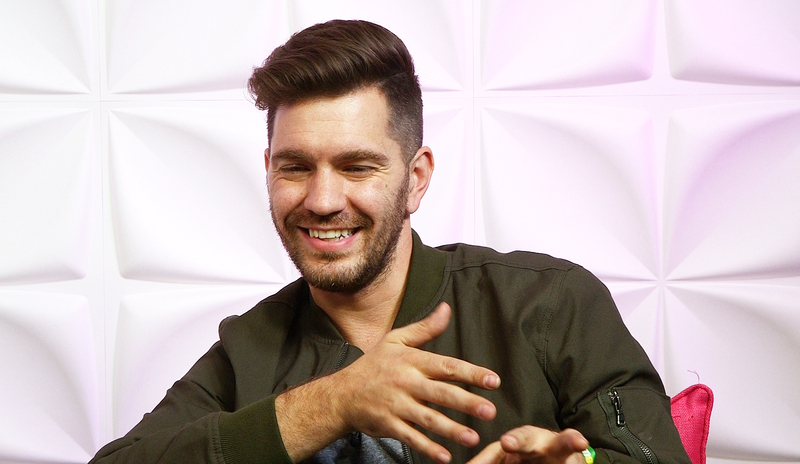 Andy Grammer Gushes Over His Baby Girl and Reveals He Already Wrote a Song for Her: Watch! How does Andy Grammer keep his head up? His 3-month old daughter helps him out. The “Honey I’m Good” crooner, 33, stopped by Us Weekly on November 3 and couldn’t help himself from gushing over his first child, Louisiana K Grammer. As previously reported, Grammer and his wife, Aijia Lise, welcomed Louisiana on July 28. Watch the video to hear him reveal the song he wrote for her. Grammer, who was in town celebrating World Sandwich Day with Subway and Feeding America, also revealed to Us where the name for his new album came from. Tickets for Grammer’s The Good Parts tour are on sale now.